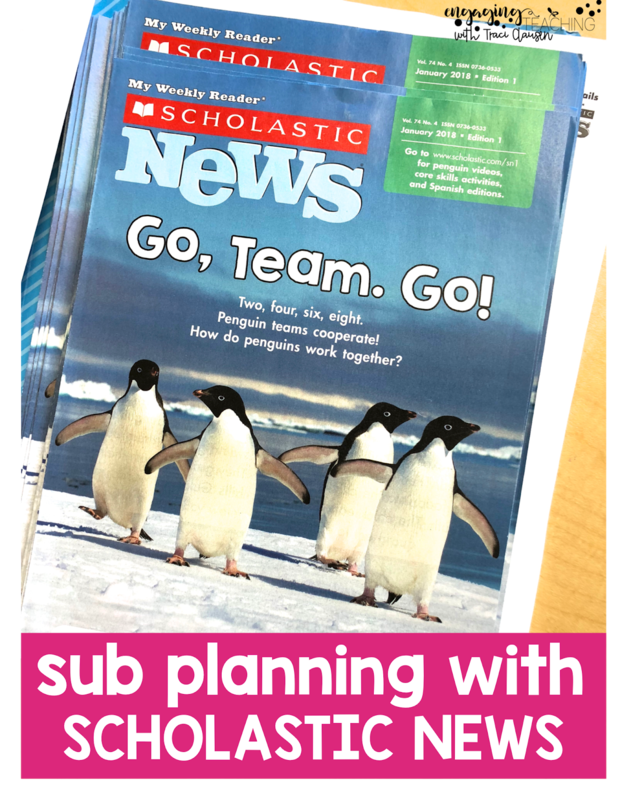 Blog Hoppin': Sub Plans Made Easy with a FREEBIE and a SCHOLASTIC GIVEAWAY!!! Sub Plans Made Easy with a FREEBIE and a SCHOLASTIC GIVEAWAY!!! Hi Peeps! Traci Clausen with Engaging Teaching here... sharing about that fabulous topic... making sub plans! Taking a day off as a teacher means writing sub plans. We all know how much that weighs on whether or not we take that day! In my little world, life has been in the way a lot recently and that has resulted in quite a few sub days. For these days, I am so thankful for the things that make planning for a day I can’t be in the classroom so much easier. 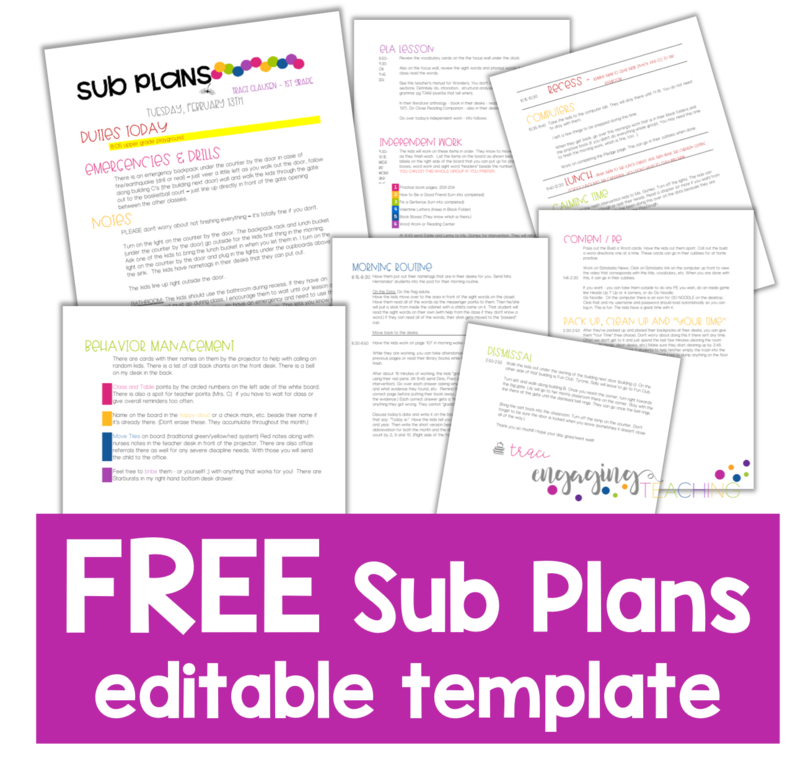 Stop by my latest post and grab a copy of my sub plan template and a FREE editable version that you can edit for yourself!! Leaving Scholastic News for my sub to use with my kiddos is a big part of keeping my sub planning simple. Don't forget to enter the SCHOLASTIC GIVEAWAY while you are visiting, too! 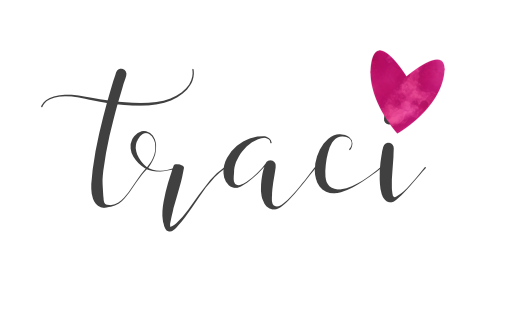 Visit Engaging with Traci Clausen for a chance to win and to grab your FREEBIE!